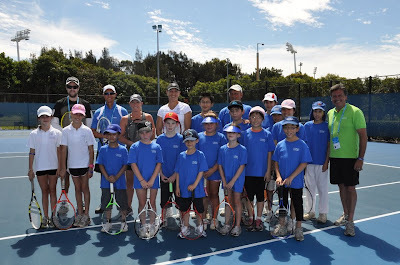 Tennis fans rejoice – the 2012 tennis season has already started down under! 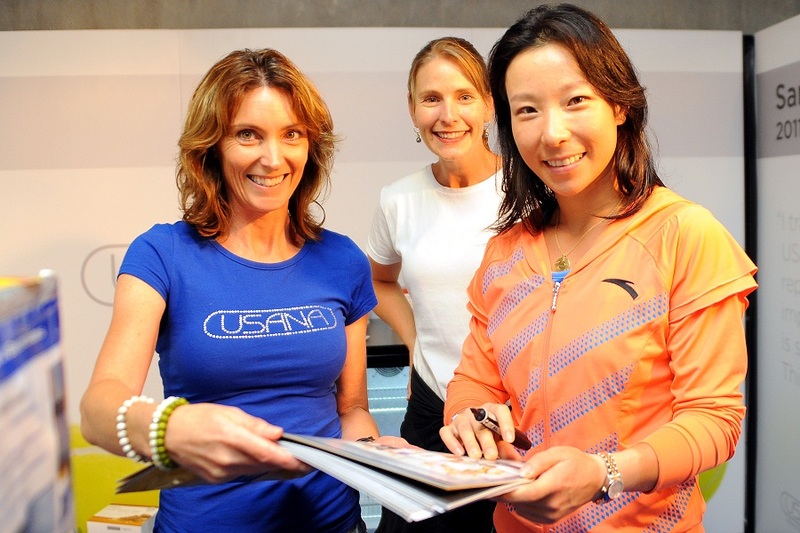 As a long-term partner of WTA, USANA really is a perfect match! And already this year, we’ve really made our mark both in New Zealand and Australia. 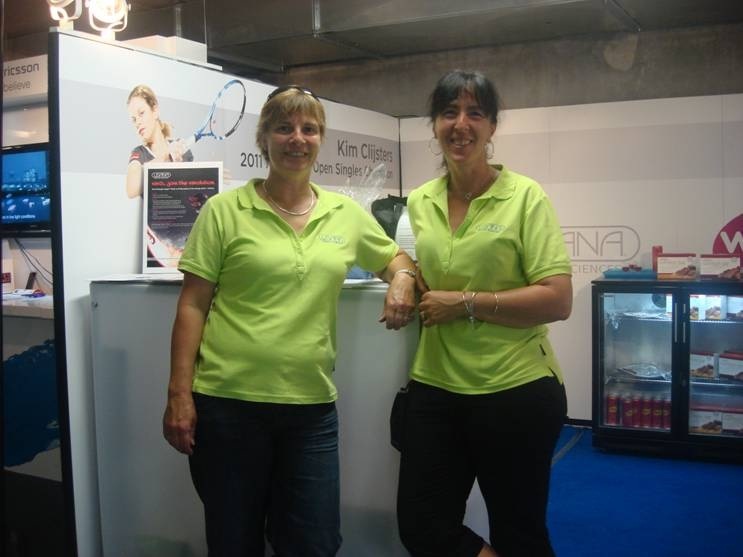 If you’ve been to the ASB Classic, you may have met our enthusiastic USANA team. In these pictures, you’ll see the familiar faces of Dr Monica Lewis and her team; Vicky Jamieson and Sue Stone; Carolyn Edwards and Fiona Clayton-Law with their team and Fiona Jamieson-Folland and Chris Folland with their team. Samples of our new energy drink USANA Rev3 were flowing – the perfect remedy for flagging energy levels! A HUGE thank you to the USANA Associates for the positivity and enthusiasm that shone through! Zheng Jie thaws the delighted winner of the ASB Classic championship! ‘I’m so excited to win this title,’ said Zheng Jie, ‘especially as it has been more than five years since winning my last title. I had two big injuries – my wrist and my ankle – but now I’m back!’ What a wonderful win! USANA is proud and delighted to have Zheng Jie as USANA’s Ambassador. ASB Classic champion, Zheng Jie signs autographs at the USANA booth. It’s been broadcast on TV, featured in commercials and aired on almost every type of media you can imagine. So, if you’re a tennis lover, you’re bound to have caught at least some of the action from the Sydney APIA International. 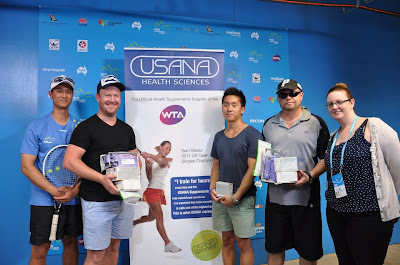 If you were lucky enough to have attended the event at Sydney’s Olympic Tennis Centre, you may also have spotted the enthusiastic individuals at the USANA booth. We made heaps of new friends and were privileged to have some tennis stars come along to sign autographs at the stand, too. Visitors also had a fun time competing at an on-court competition. 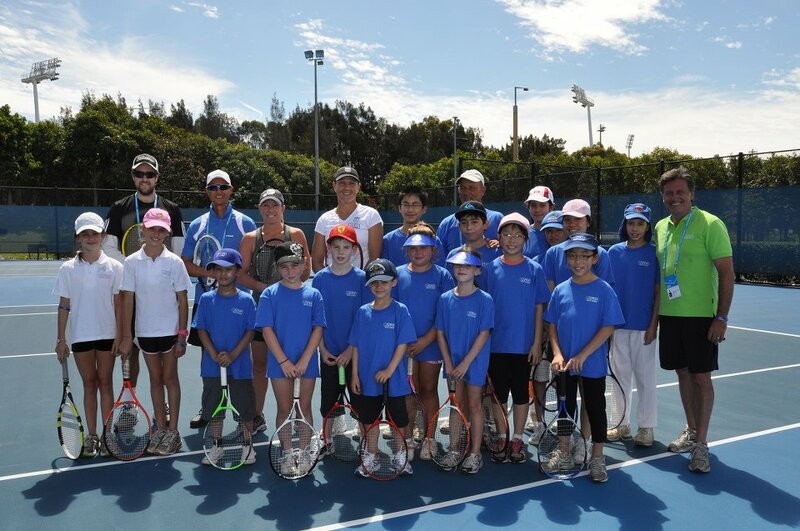 And the kids didn’t miss out either – youngsters had the unique opportunity of sharpening their tennis techniques from the world #1 doubles players, Liezel Huber and Lisa Raymond at the USANA Kids Clinic. 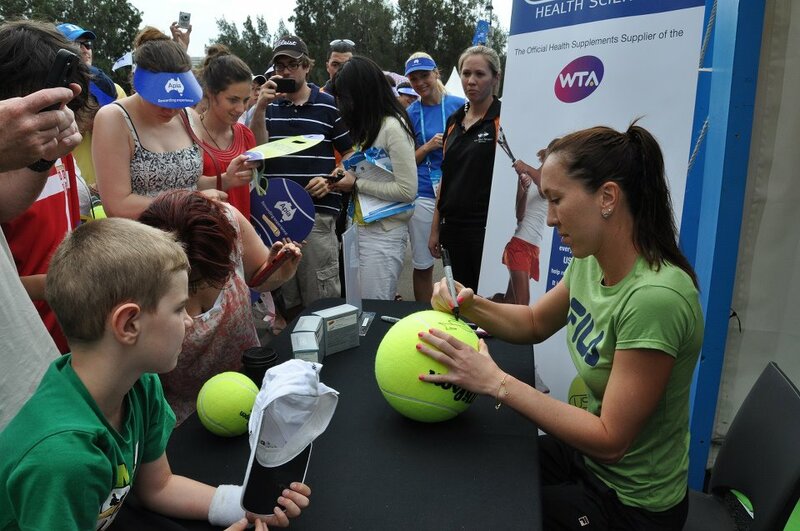 WTA Tennis player Jelena Jankovic visited the USANA to sign autographs for delighted fans! Congratulations to the winners of USANA's on court competition! The USANA prize wheel attracted lots of attention too. 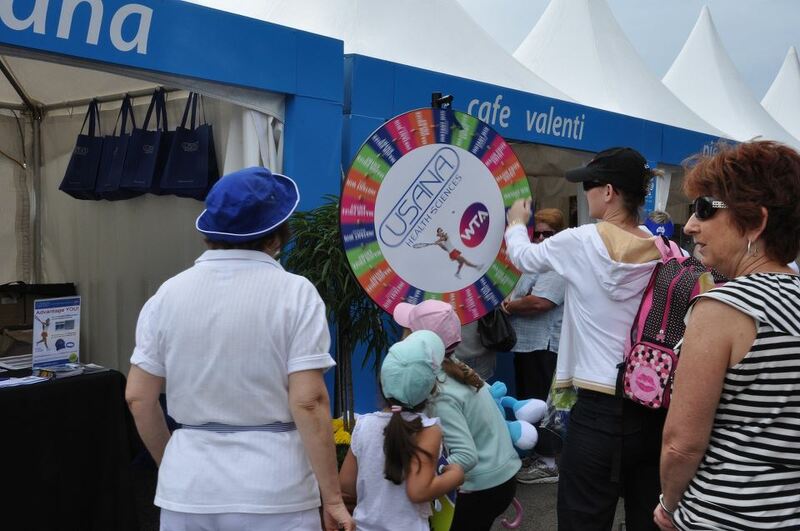 Crowds were keen to spin the wheel to see what they could win – prizes on offer included USANA hats, USANA Nutrimeals or USANA Rev3. The major prize was six months’ supply of the award-winning USANA Essentials – definitely a healthy start for the New Year! Check out more photos on our USANA Australia New Zealand Facebook Fan page.